We are happy to share with you the 17th issue of “Struggles and Victories: Waste Pickers on the Frontline”. 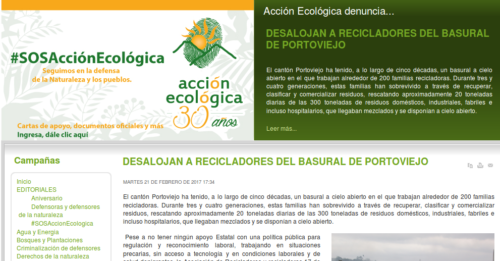 This time, we have news from March 1st, our International Waste-picker Day, this year with participation from organizations in the global north among other countries. And there’s a lot more! It is with great pleasure that we are sharing with all the recycling community and allies the different campaigns and demonstrations taking place today march 1st, international waste-pickers day. This year we have from poems and radio shows in India, to gratitude campaigns in Colombia and much more! 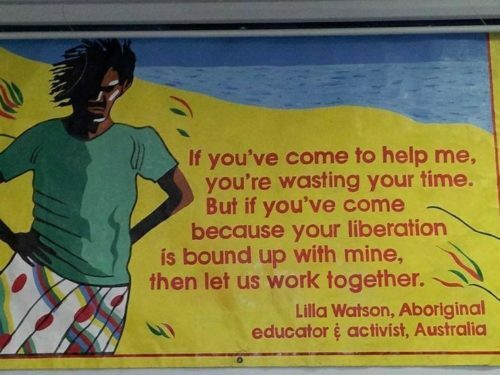 Wishing all waste-pickers an excellent day of struggle, victories and commemorations. 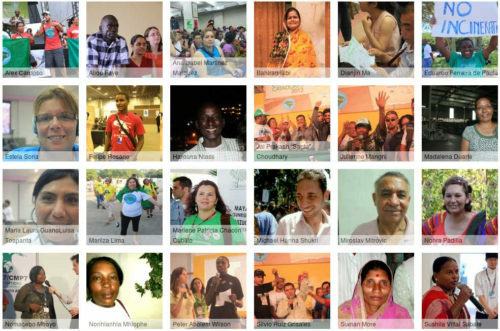 Voices of waste pickers is a collaborative project, to amplify the voices of waste pickers across the globe. Co-produced by the community, the audio series gives you a glimpse into the lives of the informal workers, discuss important policy related issues related to the informal waste sector and talk about their struggle. One of the objectives of the project is to make information available in audio format for those who can not read. The website at WPvoices.globalrec.org is the centerpiece of the project where all the radio shows and contents are hosted and distributed. The project is a collaborative effort with the participation of Radio Active CR 90.4 MHz, Hasiru Dala and the Global Alliance of Waste Pickers (globalrec.org). You can listen to the first episode, interview with waste picker Zarina from Bangalore, or to the Voices of waste workers. Radio shows are recorded in multiple languages: English, Kannada (ಕನ್ನಡ) and Hindi/Urdu (हिन्दुस्तानी, ہندوستانی). Today, Pune’s SWaCH wastepicker cooperative, the Kagad Kach Patra Kashtkari Panchayat (KKPKP) waste-picker trade union and Pune Municipal Corporation (PMC) kicked off a massive, city-wide “Red Dot” campaign to improve the way that residents dispose of their sanitary waste (diapers and sanitary napkins). 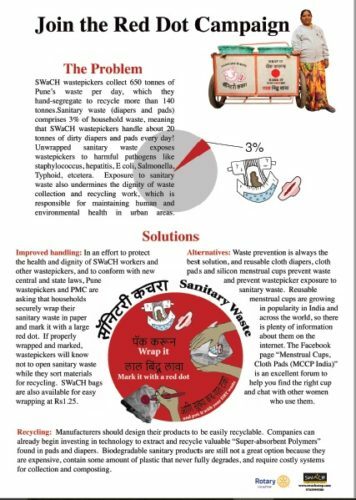 Waste-picker groups and volunteers are using their creativity to request that people securely wrap their sanitary waste in newspaper and mark it with a red dot. SWaCH is rolling their Red Dot message all across town by stencil painting Red Dot imaging to the sides of SWaCH pushcarts. Keep your eye out for the newly adorned carts, as volunteers and children of waste pickers have already begun painting. Contact SWaCH if you would like to get involved! Today the campaign launched a startling but charming one minute Red Dot video, which is being shared via Whatsapp, Facebook, Twitter, Instagram, Vimeo, YouTube and the SWaCH website (www.swachcoop.com). Visit SWaCH’s Facebook page today to check it out. 2016 has been quite a remarkable year and will be remembered as a benchmark period in the struggle of wastepickers for recognition. This year for the first time, updated solid and plastic waste management rules notified by the Ministry of Environment, Forest and Climate Change (MoEFCC) prescribed integration of wastepickers and informal waste collectors in solid waste management in clear and precise terms. Municipal corporations in cities like Mysore, Tumkur, Indore, Panvel, Vishakhapatnam and Vijaywada have all issued ID cards to wastepickers. Moreover, in recently guidelines for Swachh Bharat Survekshan, 2017 (Clean Indian Survey, 2017) issued by the Ministry of Urban Development (MoUD) up to 29 marks have been allotted and will be given to municipal corporations for identifying, enumerating and integrating wastepickers in waste management of 70 percent of its wards and by issuing occupational ID cards. Besides that, in July- August, 2016, the National Safai Karmachari Finance & Development Corporation NSKFDC (a wholly owned Govt. of India undertaking under Ministry of Social Justice and Empowerment –MoSJE) included wastepickers as its beneficiaries and allocated 10 percent of its budget for up-skilling of wastepickers and to provide cheap credit facility. On the other hand, 2016 included its own set of unique challenges. Government of India took decision of demonetizing higher value currency notes (i.e. INR 500 and 1000 Notes). This has impacted informal workforce, and many of us are still busy in finding solutions. In the coming years, we must commit ourselves to the campaign of social security for informal workers and pursue the ‘Right to Social Security’ to become a justiciable right. In addition to that questions of housing, education, skill-building, nutritious food, clean environment all need answers preferably sooner than later. 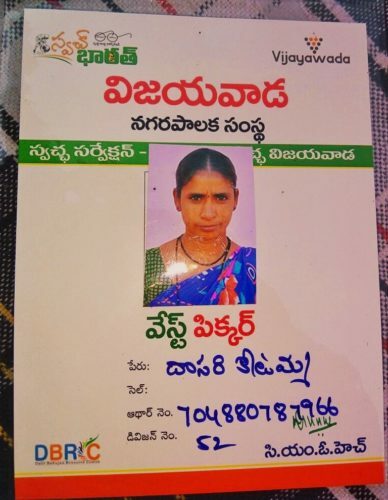 Vijaywada Municipal Corporation issued occupational identity cards (IDs) to the waste pickers. Vijaywada is first city in Andhra Pradesh (India) to do so. In the days to come the number will reach the approved figure of 486. This was done after consistent efforts made by Dalit Bahujan Resource Center (DBRC). Indore, Mysuru, Panvel and Tumakuru are other four cities which have issued ID cards to wastepickers this year. Municipal authorities are showing urgency in issuing ID as the Swachh Bharat Abhiyaan (Clean India Campaign) guidelines mandate integration of waste pickers in solid waste management and allotted 29 marks for issuance of occupational IDs to waste pickers for the upcoming Swachh Bharat survey next year. The issuance of cards has been a long pending demand of Alliance of Indian Wastepickers and its members. It has also been prescribed in Solid Waste Management Rules, 2016. It is a pleasure to see it unfolding smoothly. Over 7500 members issued identity cards by the BBMP, a result of advocacy by Hasiru Dala, first time in India. 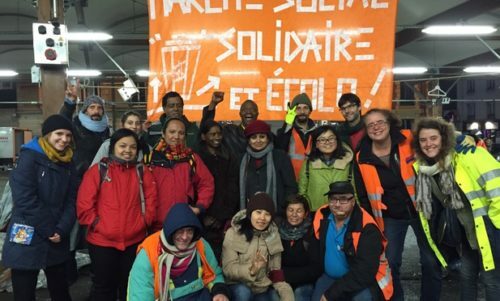 Two members of Hasiru Dala, Mansoor and Indira represented wastepickers and informal waste collectors in international forums like Climate Change Negotiations, 2014 in Paris, France and Habitat Prepcom negotiations in Surabaya, Indonesia respectively. Innovated a decentralized, technology-enabled, franchisee driven waste management model that gives opportunities to entrepreneur wastepickers for asset creation. Porto Alegre became the first Brazilian city to legally recognize a waste picker organization (1986), inaugurated the first public recycling route and warehouse in Brazil to include waste pickers (1990) and became the first capital of a Brazilian state to ban incineration, a policy that protects both the environment and the livehoods of waste pickers (2016). 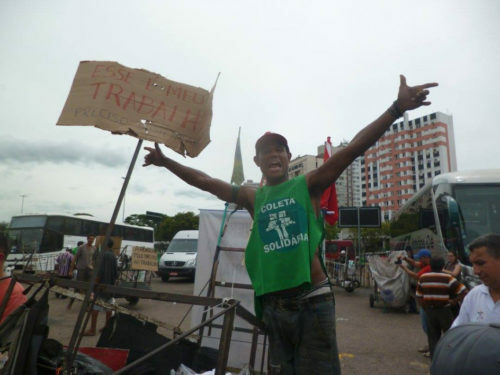 But unfortunately, last Friday, it became also the first Brazilian City to ban the use of pushcarts, criminalizing the work of thousands of street waste pickers and threatening the survival of over 7,000 vulnerable families who eke out a living from street waste picking, in the midst of record-breaking unemployment. Attempts to criminalize street waste pickers are commonplace throughout the world. Often, powerful economic interests lie behind such efforts, but also many people may support laws due to honest misunderstandings about waste pickers and their role in society. Therefore, in this article, the author challenge 10 common myths about Waste Pickers: 1. Street waste pickers provide little benefit to Society, 2. “Modern” cities do not have street waste pickers, 3. Waste pickers are not efficient, 4. Street waste pickers cause traffic, 5. Waste pickers abuse animals, 6. Waste pickers are delinquents and criminals, 7. 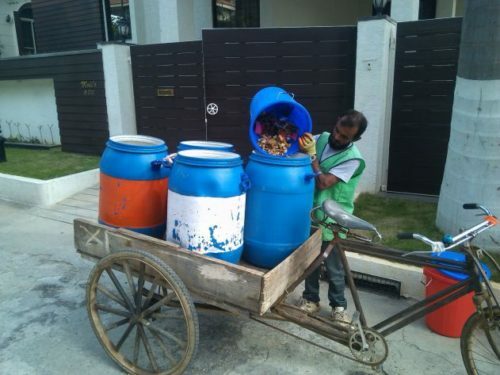 Waste picker cooperatives have resolve the “problem” of street recycling, 8. Street waste picking is just about the worse profession that exists, 9. It is not possible to improve work Standards of waste pickers who work on the street, and 10. Waste picking is a source of vulnerability. 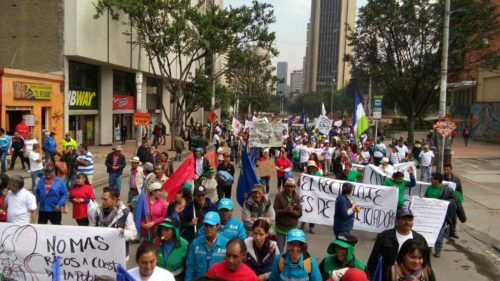 More than 4.000 recyclers marched today, March 1st, 2017, in Bogota led by the Association of Recyclers of Bogota (Asociación de Recicladores de Bogotá) in commemoration of the global waste picker´s day, and demanding to the authorities the total and complete fulfillment of the orders of recognition and remuneration of waste pickers as providers of the public service of treatment of waste. 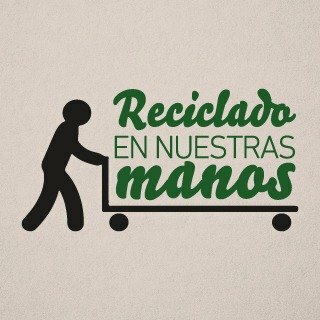 Orders issued by the Colombian Constitutional Court in defense of the rights of waste pickers. 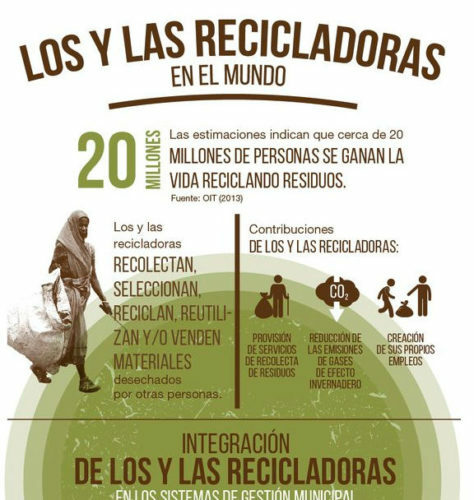 From 28-30 November 2016, informal recyclers from Brazil hosted the international event Expocatadores in which they invited Latin American and European recyclers to join them in Belo Horizonte, Brazil, to celebrate the 15th Anniversary of the National Movement of Pickers of Recyclables (MNCR). 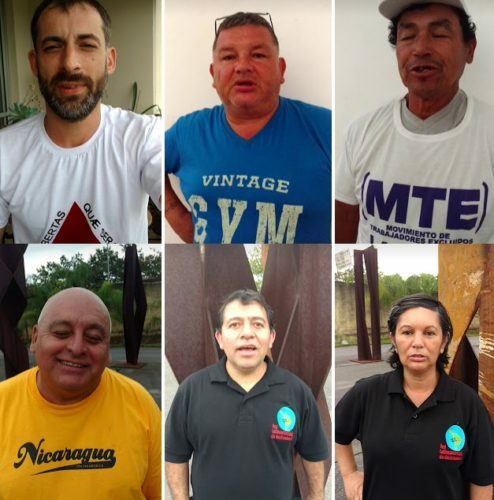 Here you can watch videos waste pickers from Nohra Padilla and Silvio Ruiz from Colombia, Samuel Samzao from France, Exequiel Estay from Chile, Sérgio Sanchez and Victor Carborral from Argentina talking about challenges and threats faced by these workers in their respective countries. The Mbeubeuss garbage dump has again caught fire. 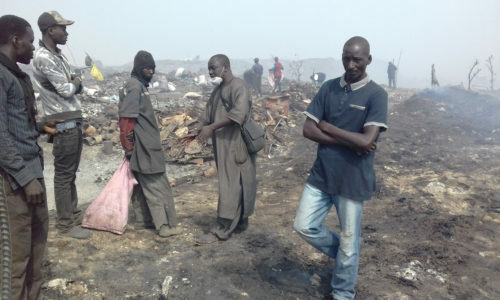 This December 22, 2016, the fire caused enormous devastation and, in the unanimous opinion of waste pickers, both male and female, such a disaster fire has not seen since they started working in the dump in 1968. The entire village of Baol, the second and largest area of the dump site, was consumed. The consequences are enormous. To date, 3 people, including a woman, have lost their lives and others are reported missing. The President of the Local Development Committee and municipal councilor of Malika, present on the scene, looking sad and dejected, cannot find her little brother who works and spends the night in the dump. Women, men and young people seemed confused and did not know what to do in the face of this catastrophe. The causes of the fire are yet unknown. 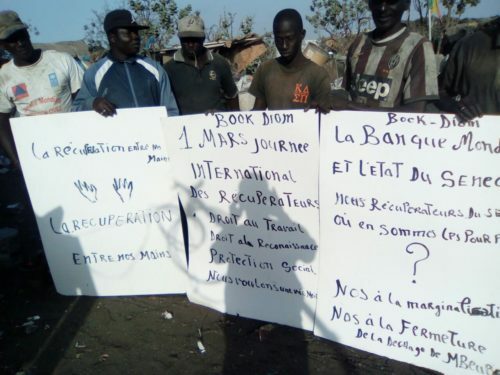 However, some waste pickers are already pointing the finger at the Waste Coordination and Management Unit (UCG) set up by the State of Senegal, accusing it of having practices that favor some people since it has created uncontrolled mini waste depot platforms and because these beneficiaries of these platforms often set garbage on fire that creates the seat for major fire outbreaks. 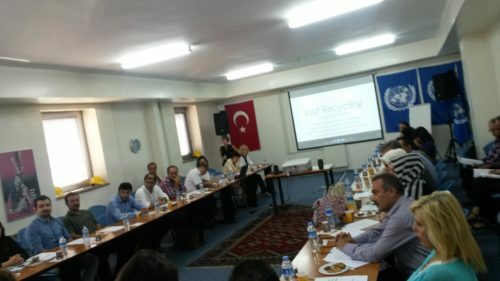 The recognition and development of the green professions (collection, sorting, recovery, reuse, recycling, sale) of biffins.